Expert Business Locksmith Services in Melbourne for Absolute Peace of Mind! Are you looking for competent commercial locksmith services in Melbourne? If so, look no further than Solid Lock Locksmith, your personal lock specialist in this vibrant city. 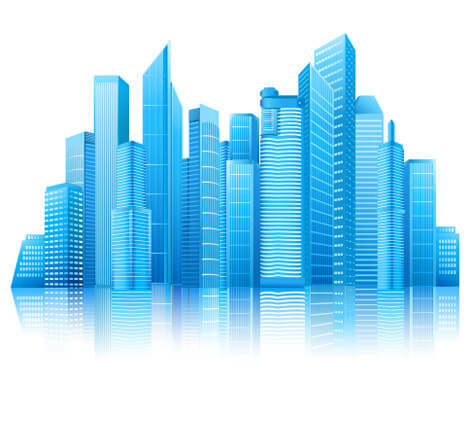 When protecting your commercial assets is your aim, you need all the help that you can get. Whether you’re a start-up or a large corporation, we have just the right solution for you. We offer an expansive range of customized locksmith solutions, to suit your business needs and budget. Our professionals are on standby 24 x 7 to make sure we are available for you when you need us the most! We’re just a call away if you need us. Our locksmiths will be there immediately to take care of your problems QUICKLY and EFFICIENTLY. Getting locked out of your office or car can be a big hassle, especially when it involves the waste of precious business hours. Call up Solid Lock Locksmith for an immediate solution to your problem. We have the right tools and gadgets to open any lock and get you into your office or car in no time. We also offer locking systems that involve restricted master key entry, which provides complete locksmith solutions for high security zones. Solid Lock Locksmith understands the importance of secure entry to rooms and premises where sensitive business information or data are kept. Business locksmith services utilize the latest technologies for ensuring complete peace of mind for our clients. Keyless entry systems are electronically controlled locks that control entry into a car or a building. Now, you can have the convenience of keyless access to your office or commercial space with our state-of-the-art keyless locksmith solutions. Our locking systems comply with the local guidelines and regulations for ensuring complete peace of mind for your business. One of the most important features is, of course, fire compliance to keep your workplace safe and protected against this major hazard. High security fire compliance signifies that in case of fire, you can remain assured against damage to the security system and the safety of the whole building in general. Lost and stolen keys isn’t a problem when you got Solid Lock Locksmith by your side. Business goes on as usual with our quick and efficient key replacement solution. In case you require rekeying or new keys, our professionals will promptly provide you with exactly what you need. Our key cutting services offer the best quality keys for maximum security and ease of use. All mechanisms are subject to wear and tear or damage, and so are locks. Regardless of the brand, type or complexity of your lock system, we are capable of servicing and repairing it. Do you need a professional grade safe for your business? Solid Lock Locksmith services offers high quality safes to protect your important document and valuable assets from theft, water, fire and other calamities. Just tell us your specifications and we will provide you with a customized safe. If, for whatever reason, you are unable to open your safe, feel free to give us a call. Our highly experienced professionals will come to your place immediately to open your safe. With so much at stake in your business, you can’t afford to waste time and money with less than satisfactory locksmith services. Go with the experts! Call us anytime for the ultimate business locksmith services in Melbourne!